An Angel Investor is an individual who invests in young, start-up companies. They’re called “Angels” because, to a struggling entrepreneur in need of capital, that’s exactly what they seem to be. In exchange for providing a start-up with investment capital, angels receive a stake in a young company—and since they’re getting involved before everyone else, that stake can be significant. 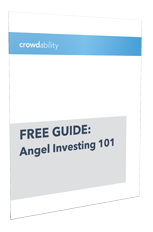 Historically, to be an angel, you needed to be what’s called an “accredited” investor. But in the very near future, this will no longer be the case. Very soon, due to a new set of laws known as The JOBS Act, everyone—regardless of their income or net worth—will have the chance to become an Angel.